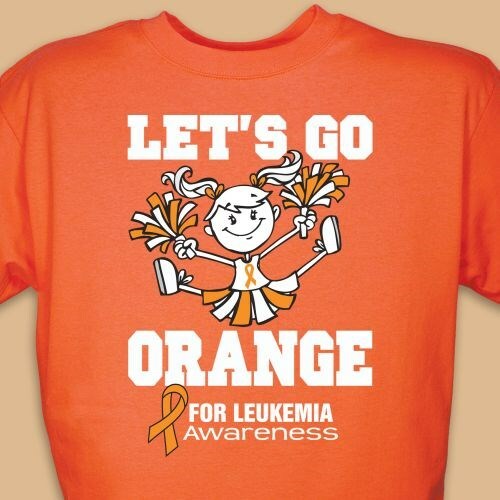 Wearing the color orange is just one way to show support in finding a cure for Leukemia. And this, Let’s Go Orange T-shirt, is a great way to raise awareness for the cause that has effected so many. This Leukemia Awareness design is printed on our premium, pre-shrunk 100% cotton t-shirts, machine washable in youth sizes XS-L and adult sizes S-3XL. Additional Info Help MyWalkGear.com spread the awareness of Leukemia with Leukemia Awareness Apparel and Walk Gear. With your help, we can become one step closer to finding a cure. Shop MyWalkGear.com for all your Leukemia Awareness Apparel today.